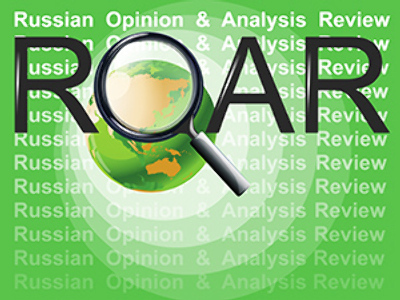 This Friday ROAR presents analytical reports from the Russian press on the results of the G20 summit in London. Mikhail Margelov, the chairman of the international affairs commission of the Federation Council (the Russian Senate) writes in ROSSIYSKAYA GAZETA that the London summit of the G20 is important simply because it took place. The senator writes that the fact that the summit has taken place means that the leading nations of the world have admitted the necessity of a collegial approach to issues that matter for the whole world community. This time, writes Margelov, the problems under discussion concerned financial and economic issues, but it would be beneficial for the world if after the crisis the G20 dealt with other problems too, including systemic political issues. The Russian position is based on the idea of a multi-polar world and multiple centers of power, both in the economy and politics. At the London summit it meant that the Russian position was close to that of the countries of the ‘Old Europe,’ first of all France and Germany. Both these nations stand for introducing more controls to the world financial and economic system. In that sense, continues the senator, the summit was a clash of two models, the Anglo-Saxon model that presumes unlimited freedom of business and financial enterprises, and the European model that prescribes financial controls. 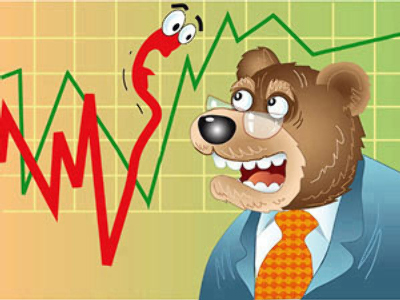 Russia’s economy in this matter is much closer to the European economy. However, it would be a mistake, says the senator, to consider the two models to be antagonistic ‘extremes’. They are known to have interacted and borrowed one another’s instruments in the past. It would not be right to say that the current crisis has put an end to economic Liberalism: it is a die hard idea that survived both ideological and military confrontation in the previous century. The London summit, says the senator, is definitely not the last one of its type, and in the future it will not be able to bypass the necessity to reform the world financial and economic system; it may happen that it will eventually create new global regulatory institutions. IZVESTIA writes that on April 2 in London the fate of the world economy was decided. The paper says that various offers included in Russia’s concept prepared for the G20 and delivered by President Dmitry Medvedev have found their way into the final declaration of the summit. The paper says the participants of the meeting expected President Medvedev to make multiple critical remarks addressed to the US and the rest of the ‘Western world’. While the president surprised his possible opponents with a set of concrete and detailed suggestions and, during his speech, he abstained from direct hits at the US leadership or the US as the country from which the crisis started off on its journey to the rest of the world. The main outcome of the conference, says the paper, was formulated in the words of the British Prime Minister Gordon Brown, who said that the G20 had come to a consensus about the necessity of total openness, and that ‘the old Washington consensus’ had come to an end. NEZAVISIMAYA GAZETA writes that the summit formalized the rejection by the twenty leading nations of the world of the economic model based on self-control and a complete freedom of action for business and agreed to the offer of several countries including Germany and France to introduce a tight supranational control system to world finance and especially to hedge funds. The paper says that the words by Barack Obama, who dismissed the differences existing between the US on one side and France and Germany on the other, ‘saved the summit from failure.’ The paper says that the US president made it clear that his country’s national interest at the moment also includes financial controls for the world economy. The paper continues by saying that the final document of the summit became a result of a tough bargaining session. The ‘Europeans,’ says the paper, ‘managed to squeeze in a rule by which no financial product or participant of the financial market can exist outside the control system’. The summit, says the paper, has officially declared that the ‘Era of Banking Secrets’ is over. KOMMERSANT’S Andrey Kolesnikov writes that in his opinion the main point of the agenda of the London summit was to define when and where the next summit is going to take place. He writes that at the London summit the point of view of German Chancellor Angela Merkel and French President Nicolas Sarkozy prevailed over the point of view of Barack Obama, who had suggested another monetary injection into the global economy. The two European leaders had stood firmly on the position that in a crisis money should be used sparingly and wisely.